The three lampshades of the pendant light Ivar, which are partly black marble, partly black varnished metal, present themselves in a conical shape and hang in equal distances from each other from an oblong, black canopy. 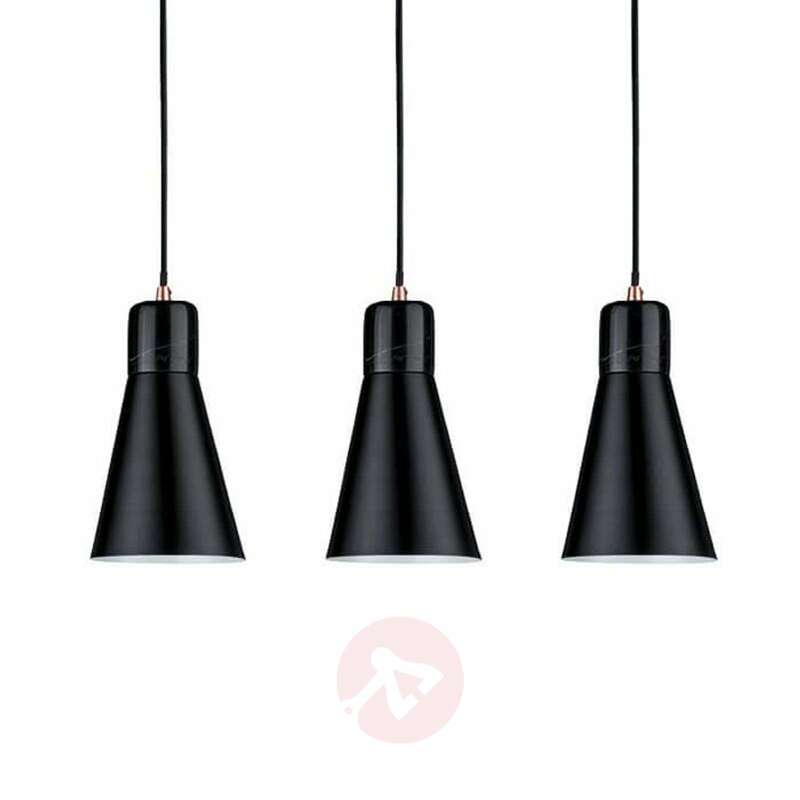 Only small details in the suspension area of the three cable suspensions are copper-coloured so that the elements particularly stand out and give the overall appearance a wonderfully modern and stylish look. 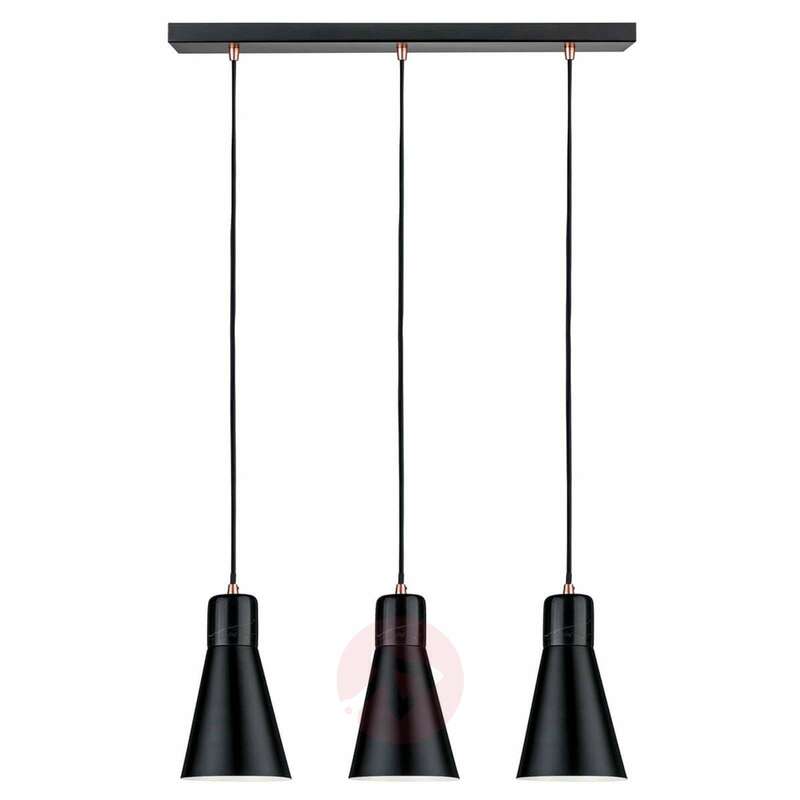 The light widely radiates from under the open lampshade into the underlying area, through which the light illuminates all types of tables.